Come celebrate Skeletons in the Piano, and the songs of Eli Hargrave, one more time at the Putnam Place in Saratoga Springs, NY. Skeletons in the Piano members will be joined on stage by special guests to perform songs from both Skeletons in the Piano and Sacred Order of Future Ghosts. 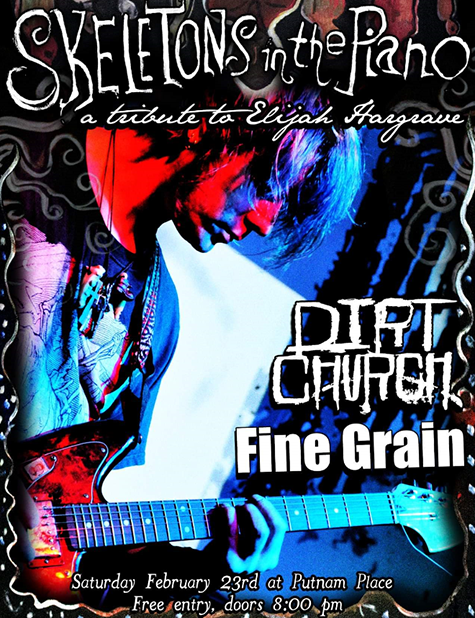 Also performing live will be Fine Grain and Dirt Church.